An investigator with Anas Aremeyaw Anas’ Tiger Eye PI has been shot dead by gunmen in Madina. The investigator, known only as Ahmed, was notably exposed by Assin Central MP, Kennedy Agyapong in the aftermath of the #Number12 exposé on corruption in Ghana football. In a war of words with the investigative journalist in July 2018, Mr. Agyapong went on a show on the TV station he owns, the Madina-based Net 2 TV, and urged residents to beat up Ahmed whenever they saw him. A purported photo of Ahmed was also revealed on the show. Citi News sources say he was the lead investigator at Tiger Eye PI. But no link has been drawn between the MPs call to violence and the Wednesday evening murder. Anas Aremeyaw Anas, in a video on his Facebook page, presented the announcement of his colleague’s murder within the context of Mr. Agyapong urging residents of Madina to go after Ahmed. The journalist has also spoken to Graphic Online about the incident. “He was just shot and killed, nothing was taken from him”, another member of the Anas’ team told Graphic Online. The Police is however yet to comment on the matter. Mr. Agyapong has been criticised for inciting violence against Anas and his team. The MP accused the investigator of being corrupt and evil in the wake of his probe into Ghana football. He also said Anas deserved to be hanged for his purported corrupt deeds. Reporters Without Borders came out to say it was alarmed by threats to the life of Anas. The Ghana Journalists Association (GJA) at the time also called for 24-hour protection for Anas. 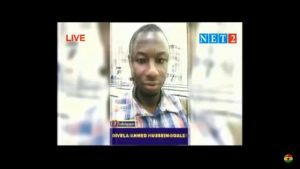 The post Lead Investigator of Anas’ Tiger Eye PI shot dead in Madina appeared first on Citi Newsroom.